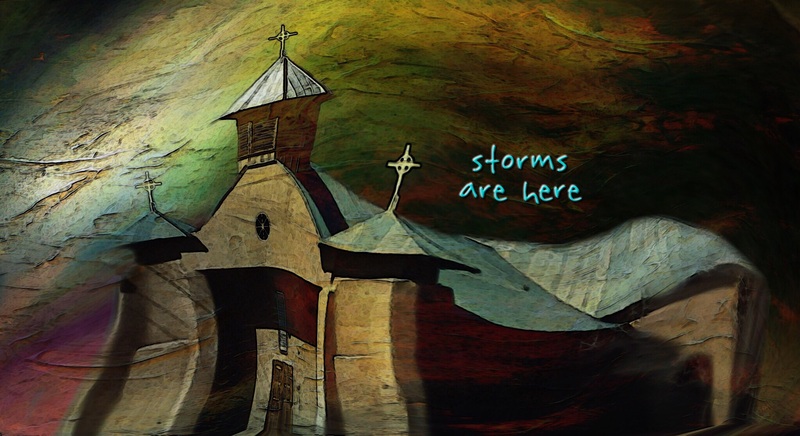 In the midst of all the personal, local and world wide storms, the Church is still standing, although buffeted by their own problems. Most everyone thinks they can avoid difficulties if they are careful, but these are spiritual forces with far reaching hands, no one will be excluded. The only answer is a relationship with your Creator, found within the Church or within yourself. Be aware of the storms that are already here and of the coming storms. Many people want to ignore the spiritual, but don’t wait until disaster attacks you. Find God now!